Planning a cruise can be a complex and confusing travel decision. 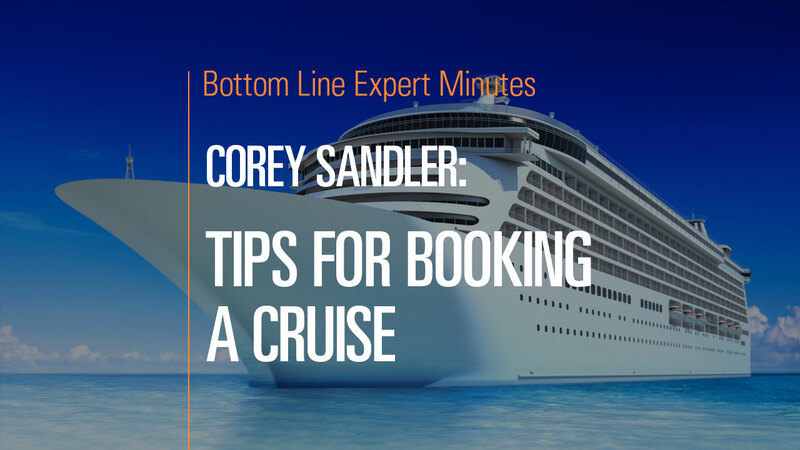 In this video, Corey Sandler, consumer expert and author of Bottom Line’s Secrets of the Savvy Consumer, walks viewers through his strategy for selecting the right cruise vacation. First determine where you want to go…when you want to go…and what type of cruise you want to go on—consider bargain options, midlevel choices and high-end luxury cruises. There are vast differences between these three types of cruises. The best resource for prospective travelers is a knowledgeable travel agent who can help you pick a cruise from all the available options. In order to take full advantage of this resource, do research prior to speaking with the agent and then be clear about what you want and what you are able to afford. Weigh the cost of premiums and add-ons not included in the ticket price when making your final decision.